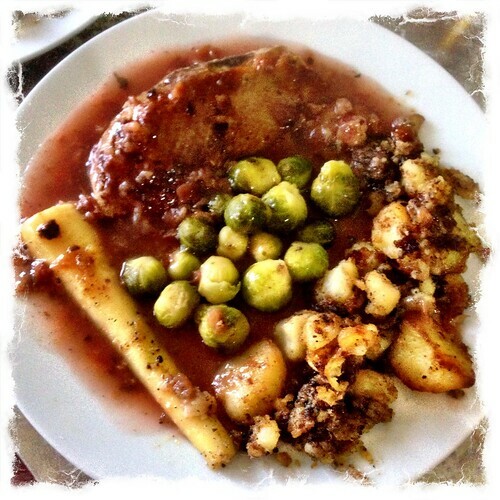 Christmas Lunch or a Dogs Dinner? 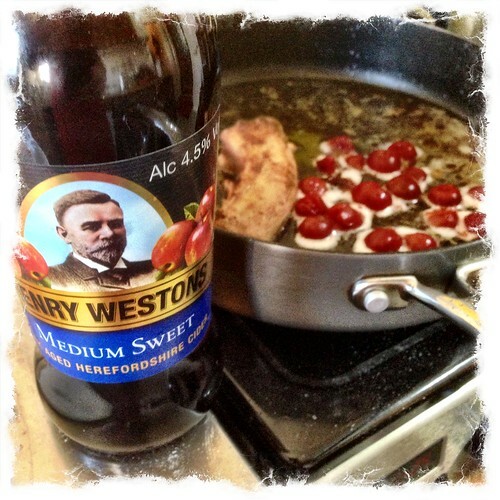 For lunch on Christmas day I cooked duck in a cider and cherry sauce. It all looked great until I plated it up. In traditional Christmas style the plate was overloaded with food, so looked a mess, but it would not be Christmas without a mountain on food on the plate. Barley our Lurcher also done very well with festive food. 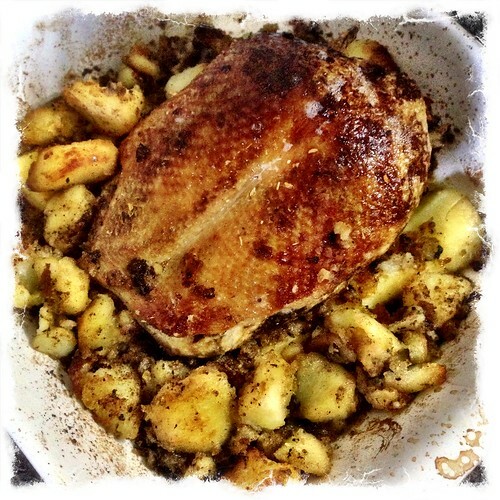 He got a lot of duck skin and the left over bones got made into a stock which got added to is evening meal. 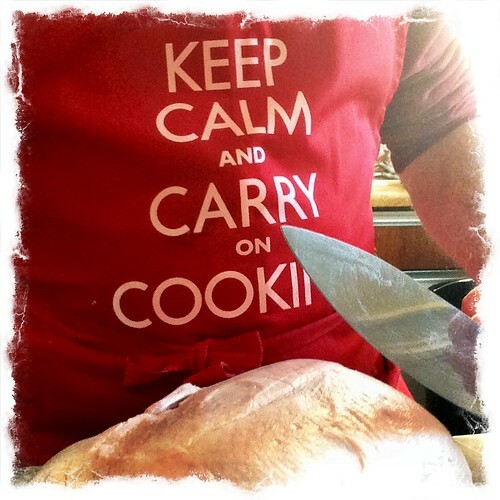 This entry was posted in Cooking and tagged Cooking, Duck, Food on December 27, 2013 by Richard.